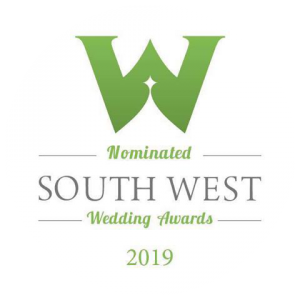 I entered the South West Wedding Awards awards for the first time this year and have been lucky enough to be nominated for the 2019 awards, this means brides who’s weddings I have done during 2017 and 2018 can vote for me if they feel I have provided a great service! I am very excited about this and have had the pleasure of receiving votes from some of my beautiful brides already, I would love to do well and have the chance to attend the awards ceremony so if I did your wedding hair or will be doing it this year I would be flattered and extremely grateful for your valuable vote and comments! Voting closes on 7th November at 5pm 2018 and finalists are announced the 18th November 2018 so check back at my blog or Facebook page for the results!